A bad giveaway could have led to disaster, but for Corey Crawford and the Blackhawks, the biggest takeaway was a pivotal win in the Stanley Cup Finals. With Chicago and Tampa tied at two games apiece and little room for error, it was a moment that could have significantly changed the face of Game 5 of the championship series. An errant first period pass by Crawford found the stick of Tampa forward Nikita Kucherov, who had a golden chance to strike for the Lightning, only to be denied when the backstopper scrambled back to his crease. 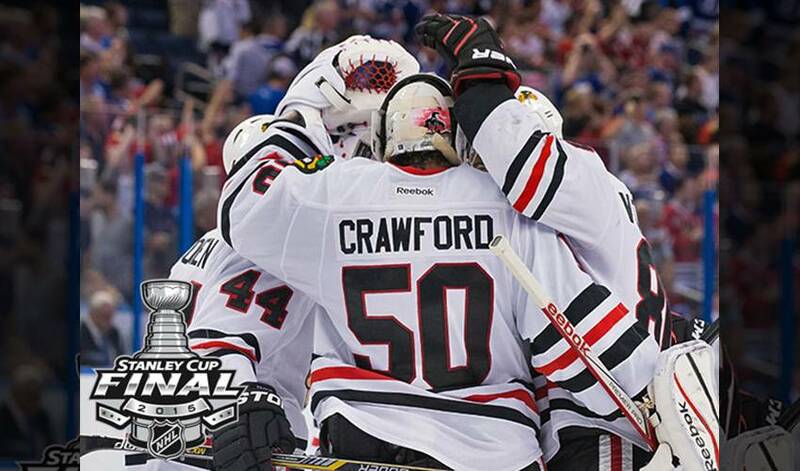 Early gaffe aside, Crawford was at the top of his game once again. He turned aside all 15 shots he faced in the third period, coming up clutch time and again as the Lightning buzzed in the Blackhawks’ zone. Chicago now heads home with the opportunity to win the Cup in front of their home crowd. If it were to happen, it would be the first time the ‘Hawks would celebrate a championship on their ice in 77 years. But, Crawford, who sports a 12-6 win-loss record, accompanied by a .920 save percentage, isn’t willing to look any further ahead than the next task at hand. It’s a challenge his head coach knows he’s ready for.